speaker and member Melissa Barhorst, and members Peggy Foutz and Susan Fowble. Damsel in Defense Independent Director Melissa Barhorst was the featured speaker at the Greenville Business and Professional Women’s Club (BPW) meeting on February 8th. The meeting was held at the Brethren Retirement Community and hosted by the Public Relations Committee consisting of Chair Peggy Foutz and members Annette Sanders, Diana Frazier, Melissa Barhorst and Susan Fowble. Wear Your Warning - A product line including t-shirts to announce you are always in ‘defense mode’. Family Education - Safe Hearts books and pamphlets for parents to educate themselves on protecting their children. A Digital Defense program that is a safeguard against threats online that are unseen. Concealed carry purses. RIFD wallets to protect credit card theft. Security on the Go which includes protection products for travel. There are 350 representatives in Ohio and 10,000 across the nation. Melissa can be contacted through damselpro967@gmail.com. The Greenville BPW Club annually supports community services. This month the Club collected items for the Domestic Violence Shelter of Darke County. Director Annie Sonner was present and thanked the group for donating items for the shelter. The Greenville Business & Professional Women’s Club is the leading advocate for working women achieving equity for all women in the workplace through advocacy, education, and information. 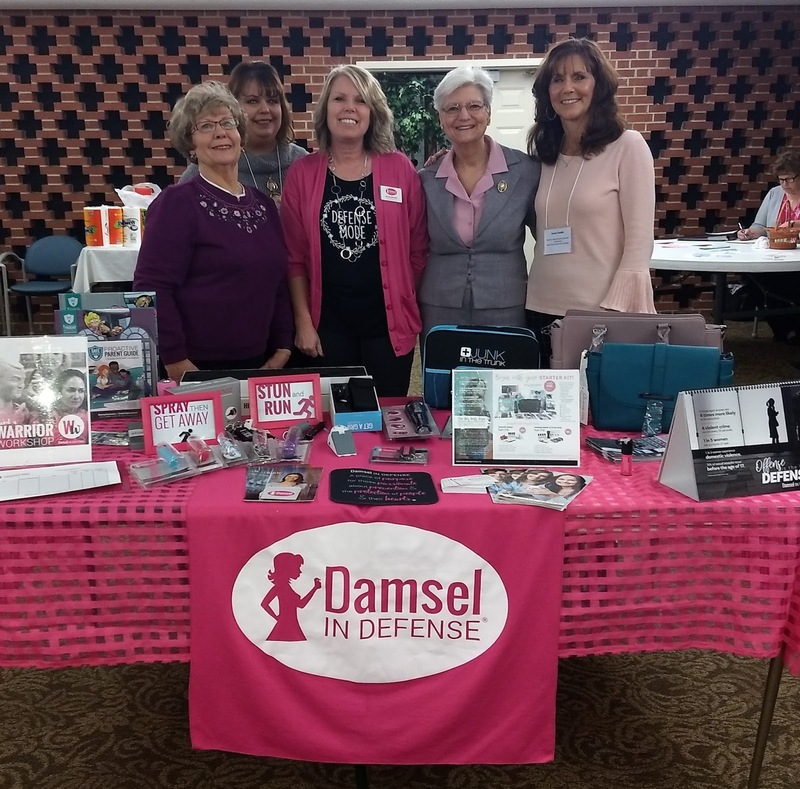 The local Club meets once a month to present programs to provide members with professional development programs, networking, participation in grassroots activism, and opportunities to support scholarships for the young women of Darke County.